We knew that more expansions for LEGO Dimensions would be coming this fall, including a new "story pack" expansion based on the 2016 Ghostbusters movie. Thanks to a Twitter user snapping a quick picture from an Argos (a UK digital retailer) catalogue, we now also know that the title will be getting a "story pack" based on the upcoming Fantastic Beasts and Where to Find Them movie. 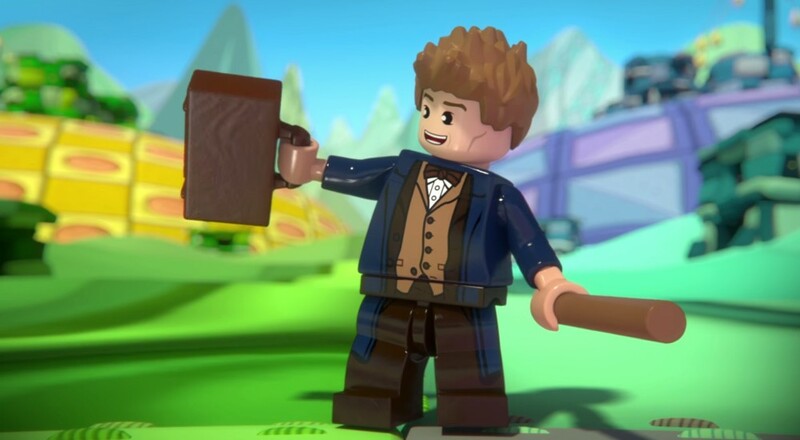 Similar to the Ghostbusters "story pack," the Fantastic Beasts pack will include six new playable levels, a minifigure (Newt Scamander), what could be a vehicle or gadget (a Niffler animal), and a new configuration for your LEGO Toy Pad (based on the Magical Congress of the United States of America, or MACUSA, building). The pack is listed for 39.99 pounds sterling, which will translate to $49.99 over in the States, and appears to be slated for a November release. Page created in 0.4787 seconds.